Description - Enjoy the look of real stone and ease of maintenance with Daltile's Heathland Glazed Ceramic tile collection. Adding to the collection's rustic look, these floor tiles have high shade variation from tile to tile, giving you a unique and random look to your floors. 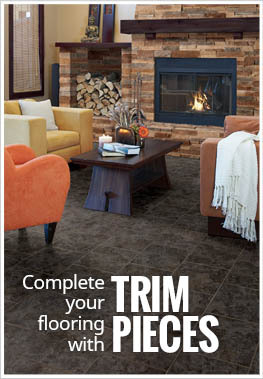 Low cost and durable, these tiles can be installed on any level of the home unlike other standard flooring options. Material – Ceramic with a glazed finish. Size – Available in 12" x 12" and 18" x 18" tiles. Minimum Grout Joint Requirement – 3/16"
Breaking Strength – 250 lbs. Case Weight – Each 12x12 case weighs ~40 lbs and each 18x18 case weighs ~72 lbs. Recommended Uses – Heathland tiles have been installed successfully in basements, bedrooms, boutique, office lobbies, dining rooms, small commercial environments, and more. Rustic stone look ceramic tile. Combine sizes & colors for a unique pattern.